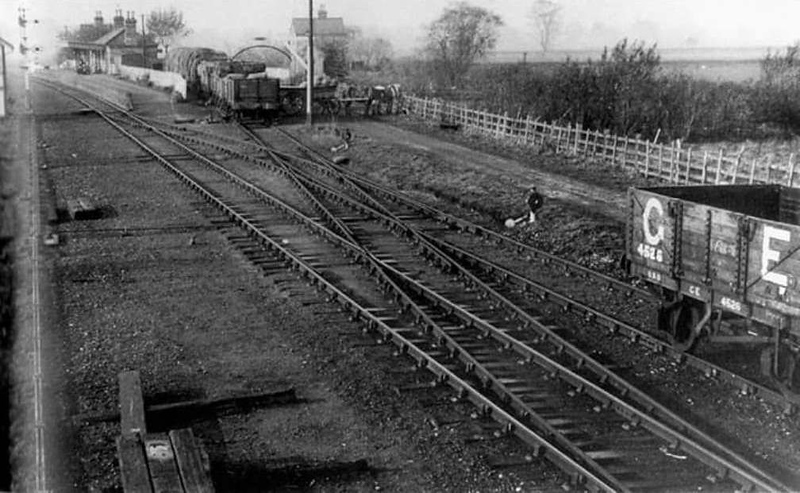 The approach to Abbey and West Dereham station in Great Eastern days with the goods yard to the right. To the left adjacent to the signal post is the side of the signal box. Viewed facing west towards Denver.